When choosing Dublin plumbing services people tend to look for a number of things before making a decision. This is always the correct procedure. When trusting your home or business to someone you probably don’t know all factors should be taken in to consideration. The most common things would be; Am I dealing with an established company? Do they have the experience to complete the job I require to be done and are they over priced? Is there work guaranteed? Do they provide quality workmanship? Are they reliable? Are they flexible? Do they pride themselves on their customer service? About our team and our Dublin plumbing services. Our company has now been trading in excess of 40 years. Our team have been servicing the needs of people throughout the county during this time. 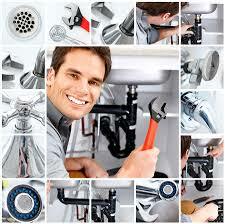 We are established and recognized industry leaders as domestic and commercial Dublin plumbing services provider. Some of our senior plumbers in Dublin have been with us for more than 35 years. This gives us the knowledge and experience to undertake any job large or small. Prior to working for us all of our staff are thoroughly vetted and reference checked. This includes their qualifications and their R.G.I. registration. We also ensure they are up to date with all current health and safety regulations. Our honest and open upfront pricing policy has been at the heart of building our outstanding reputation. We are happy to provide free no obligation quotes. This is because we know we are as competitive as anyone in the market place. When we quote a price we stick to it. 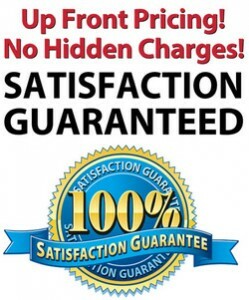 Unlike some more unscrupulous companies we do not apply hidden fees or charges. We do not charge for call outs. There are no traveling time charges. If we have to get parts we do this in our time not yours. Also miscellaneous charges such as parking fees for example are our costs. We only ever ask for payment once the job is completed to 100% satisfaction of the client. As the price has been agreed in advance with plumbers Dublin you will never get a shock when the bill arrives. All of our work is fully guaranteed. Our guarantee means that in the extremely rare occasions that there may be a problem someone will be sent out immediately. This will usually be the Dublin plumber who completed the job originally. All of the parts installed are new and covered by the manufacturers warranty. If there is a problem with a part we will take care of it through our supplier. We are fully covered by professional and public liability insurance. This ensures extra peace of mind for all of our clients. Our reviews and references speak for themselves. We don’t leave our customers disappointed or unhappy. Our team are focused and take satisfaction proving the highest quality Dublin plumbing services available in Ireland. We take pride on our reliability. If we say we’ll be there we will. If we say we’ll have a job completed by a certain time we will. Where necessary will work late through the night to fulfill our obligations. We are totally flexible and we will always work around our client’s requirements. 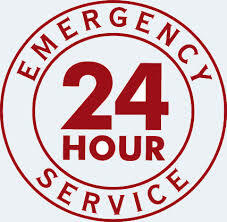 This is because we operate a 24/7-365 emergency Dublin plumber service. As we are a large company our team rotate the outside of normal hours service. We have a rapid response time of 1 hour day or night to help our customers with any emergencies they may have. Another cornerstone that we have built our excellent reputation on is our customer service. You will always find our staff to be polite, professional and courteous at all times. To us nothing is too much trouble. We will always clean up on completion of your works and leave your property as we found it. Some of the services our we provide. We are happy to provide all of the services below and more. If you don’t see what you are looking for here do not worry as we guarantee that we can do it. Plumbing emergencies and repairs by your local team. Our Dublin plumbers will cater for all your Plumbing needs. We are always on call. If you are unfortunate to have an emergency plumbing situation just call us. We will dispatch a Dublin plumber to your home or business immediately and they will be with you in under 60 minutes. Remember we don’t charge for call outs. For all general plumbing repairs from leaky taps. burst pipes, drain unblocking or bathroom refurbishment just phone us on 01-6874852. Our team will always arrange a suitable time for you. We will arrive at your property at the agreed time, and address the problem that you are experiencing. A full range of boiler services. We have the industry experience to professionally service all makes, types and models of boiler. We can arrange a time that suits you for no extra charge. This could be evenings or at the weekend. On completion of your boiler servicing you will be issued an R.G.I. compliance cert. A boiler service will take approximately an hour. We are currently charging between €59-€89 for a standard boiler service depending on the make and model in comparison to Bord Gais’s €99 standard charge. If you need your boiler repair one of our boiler technicians can diagnose the problem and repair your boiler quickly and efficiently. Drain Unblocking by the experts. We have a specialist drain unblocking team within our business. Our experts can come to your property when required. We will diagnose the cause of the blockage and clear it for you. We have the full range of expert equipment to clear any blocked drain including drain rods, power jets and plumbers snakes. When the problem is serious C.C.T.V. inspection is used to make sure the problem is properly addressed and will not return. Free estimates for boiler replacements and gas installations. If you require a boiler replacement or any type of gas installation. An R.G.I. registered technician will visit your premises free of charge and offer a no obligation estimate for any work you may require. Let our experts help with your bathroom refurbishment. Our team have over 40 years experience in designing and fitting custom Bathroom installations. You will see a number of testimonials from delighted customers on our website. If you call us one of our bathroom refurbishment specialists will call out at a time that suits you. We would be delighted to offer some free expert advice and provide a quote on any ideas for bathroom renovation work. Water pumps, repaired, serviced and replaced by our staff. We regularly deal with all makes and models of water pumps. We can service, replace or repair all types of heating and water pumps. at a very competitive price. Call one of our senior staff at today for advice on any issues you may be having. For all you Dublin plumbing services call one of our team on 01-2844921 today.